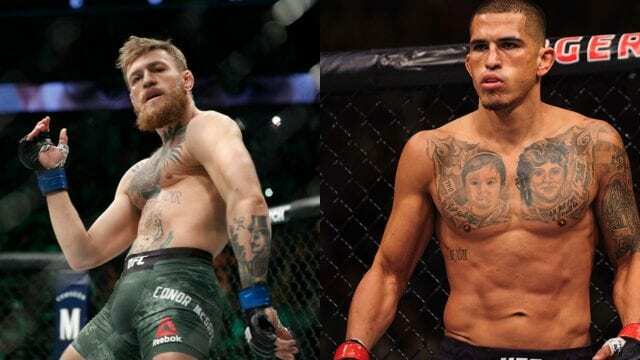 Anthony Pettis has a target date for a potential showdown against former UFC lightweight and featherweight champion Conor McGregor. 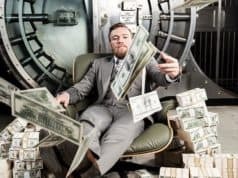 After teasing this fight, McGregor would give his reaction to Pettis’ latest win inside of the Octagon. Pettis scored a second-round knockout over title contender Stephen Thompson in the headliner of UFC Nashville. 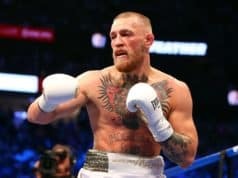 This event went down on Saturday night (March 24, 2019) at the Bridgestone Arena in Nashville, Tennessee on ESPN+. 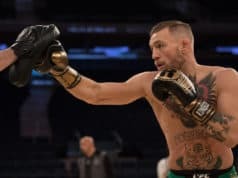 Following the fight, while talking with the media, the former UFC lightweight champion elaborated on his desire to fight McGregor, who doesn’t have a fight lined up. Pettis already has a date in mind, which is the UFC 239 pay-per-view event that goes down on July 6th as part of International Fight Week in Las Vegas, Nevada at the T-Mobile Arena. He also thinks this fight should be held at welterweight.